This study, that details the “Evolution of Wikipedia’s Norm Network,” could speak analogously to the supposed “democratisation” that technology pundits constantly invoke when idealising the web, not just in regards to Wikipedia, but even in more general terms about the Screen Culture. Also, mix in a reading of George Orwell’s ‘Animal Farm’ for good measure. 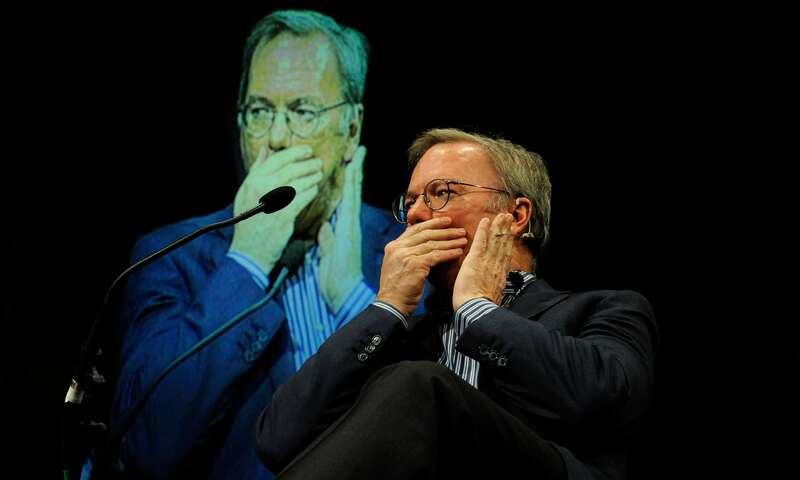 “Alphabet’s [Google] executive chairman, Eric Schmidt, recently joined a Department of Defense advisory panel. Facebook recently hired a former director at the U.S. military’s research lab, Darpa. Uber employs Barack Obama’s former campaign manager David Plouffe and Amazon.com tapped his former spokesman Jay Carney. Google, Facebook, Uber and Apple collectively employ a couple of dozen former analysts for America’s spy agencies, who openly list their resumes on LinkedIn. For example, Google’s database of scanned books represents 4% of all books ever published, but in this data set, “The Lord of the Rings gets no more influence than, say, Witchcraft Persecutions in Bavaria.” And the name Lanny appears to be one of the most common in early-20th century fiction — solely because Upton Sinclair published 11 different novels about a character named Lanny Budd. UK’s intelligence agencies such as MI5, MI6, and GCHQ have been collecting personal information from citizens who are “unlikely to be of intelligence or security interest” since the 1990s, previously confidential documents reveal. The documents were published as a result of a lawsuit filed by Privacy International, and according to the files, GCHQ and others have been collecting bulk personal data sets since 1998. Nor, it seems, are BPDs only being used to investigate terrorism and serious crime; they can and are used to protect Britain’s “economic well-being”—including preventing pirate copies of Harry Potter books from leaking before their release date. The Intercept has obtained a secret, internal U.S. government catalogue of dozens of cellphone surveillance devices used by the military and by intelligence agencies. The document, thick with previously undisclosed information, also offers rare insight into the spying capabilities of federal law enforcement and local police inside the United States. The catalogue includes details on the Stingray, a well-known brand of surveillance gear, as well as Boeing “dirt boxes” and dozens of more obscure devices that can be mounted on vehicles, drones, and piloted aircraft. Some are designed to be used at static locations, while others can be discreetly carried by an individual. They have names like Cyberhawk, Yellowstone, Blackfin, Maximus, Cyclone, and Spartacus. Within the catalogue, the NSA is listed as the vendor of one device, while another was developed for use by the CIA, and another was developed for a special forces requirement. Nearly a third of the entries focus on equipment that seems to have never been described in public before. “There are many other examples of intelligent technology gone bad, but more often than not they involve deception rather than physical danger. Malevolent bots, designed by criminals, are now ubiquitous on social media sites and elsewhere online. The mobile dating app Tinder, for example, has been frequently infiltrated by bots posing as real people that attempt to manipulate users into using their webcams or disclosing credit card information. 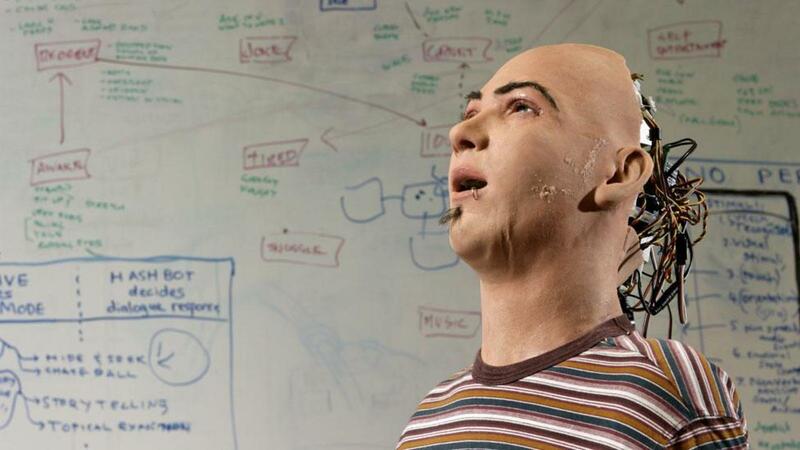 So it’s not a stretch to imagine that untrustworthy bots may soon come to the physical world. “Welcome to Baotou, the largest industrial city in Inner Mongolia. I’m here with a group of architects and designers called the Unknown Fields Division, and this is the final stop on a three-week-long journey up the global supply chain, tracing back the route consumer goods take from China to our shops and homes, via container ships and factories. 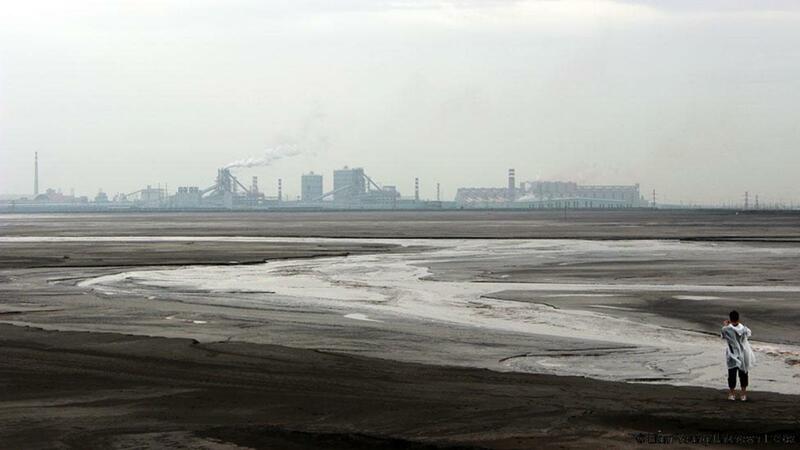 You may not have heard of Baotou, but the mines and factories here help to keep our modern lives ticking. It is one of the world’s biggest suppliers of “rare earth” minerals. These elements can be found in everything from magnets in wind turbines and electric car motors, to the electronic guts of smartphones and flatscreen TVs. In 2009 China produced 95% of the world’s supply of these elements, and it’s estimated that the Bayan Obo mines just north of Baotou contain 70% of the world’s reserves. But, as we would discover, at what cost? “Tinder isn’t as private as many of its users think, and a new website which aims to exploit that is causing concern among users of the dating app. “Swipebuster” promises to let Tinder users find out whether people they know have an account on the dating app, and even stalk them down to their last known location. The website charges $4.99 (£3.50) to let someone see whether the target is using Tinder, and can narrow down results by first name, age, gender and location. But it doesn’t do so by hacking into Tinder, or even by “scraping” the app manually. Instead, it searches the database using Tinder’s official API, which is intended for use by third-party developers who want to write software that plugs in with the site. All the information that it can reveal is considered public by the company, and revealed through the API with few safeguards. Although the site seems targeted at those who want to catch cheating partners on the app, its developer says he had a different motivation in mind, telling Vanity Fair that he wanted to highlight oversharing online. But the argument that Swipebuster is made to highlight privacy breaches on Tinder’s part seems questionable when one looks at the website itself. Under a headline reading “Find out if they’re using Tinder for only $4.99”, the site says nothing about privacy or expectations thereof, instead offering only a walkthrough for users who want to pay for its services. An animated gif showing the process ends with an image of the supposed target superimposed with the word “Busted”. “Soft robots that can grasp delicate objects, computer algorithms designed to spot an “insider threat,” and artificial intelligence that will sift through large data sets — these are just a few of the technologies being pursued by companies with investment from In-Q-Tel, the CIA’s venture capital firm, according to a document obtained by The Intercept. “SKINCENTIAL SCIENCES, a company with an innovative line of cosmetic products marketed as a way to erase blemishes and soften skin, has caught the attention of beauty bloggers on YouTube, Oprah’s lifestyle magazine, and celebrity skin care professionals. Documents obtained by The Intercept reveal that the firm has also attracted interest and funding from In-Q-Tel, the venture capital arm of the Central Intelligence Agency. “Tomorrow marks the 35th anniversary of Food Not Bombs—the name given to autonomous groups and independent collectives that serve free vegan and vegetarian food in opposition of poverty and hunger, and also in protest of economic disparity and rapacious militarism. But, “despite seemingly the non-controversial nature of the activist group’s titular three-word mission statement, FBI files released earlier this week show that serving up home-cooked vegan moussaka is apparently enough to warrant suspicions of terrorism. 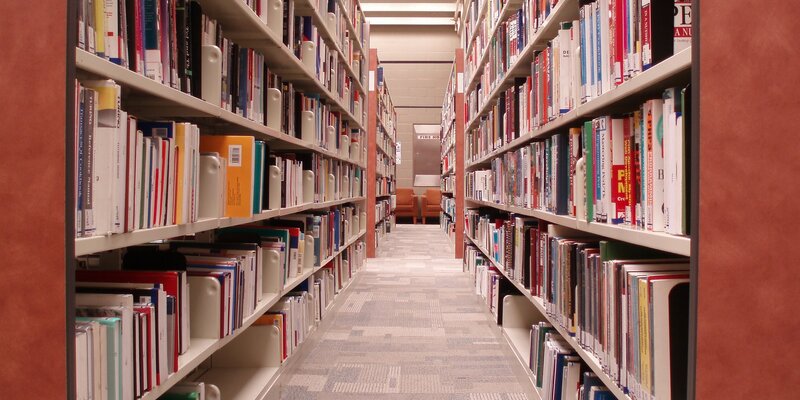 The files, which begin in the early naughts, appear to be focused on one particular FNB chapter based out of Virginia Commonwealth University in Richmond, Virginia. The bulk of the records concern the organization’s rather obvious opposition to the Iraq war. “Starting this summer, the [Japanese] government will test a system in which foreign tourists will be able to verify their identities and buy things at stores using only their fingerprints. The government hopes to increase the number of foreign tourists by using the system to prevent crime and relieve users from the necessity of carrying cash or credit cards. It aims to realize the system by the 2020 Tokyo Olympic and Paralympic Games. The experiment will have inbound tourists register their fingerprints and other data, such as credit card information, at airports and elsewhere. “The more time young adults spend on social media, the more likely they are to become depressed, a study has found. “A new study shows that knowledge of government surveillance causes people to self-censor their dissenting opinions online. The research offers a sobering look at the oft-touted “democratizing” effect of social media and Internet access that bolsters minority opinion. The study, published in Journalism and Mass Communication Quarterly, studied the effects of subtle reminders of mass surveillance on its subjects. The majority of participants reacted by suppressing opinions that they perceived to be in the minority. This research illustrates the silencing effect of participants’ dissenting opinions in the wake of widespread knowledge of government surveillance, as revealed by whistleblower Edward Snowden in 2013. “Security researcher Mike Olsen has warned that some products sold through the Amazon marketplace are habouring a dark secret — malware. While the page hosted the camera feed, no “normal controls or settings were available,” according to the researcher. ”Being one of those guys who assumes bad CSS, I went ahead and opened up developer tools,” Olsen said. If the device’s firmware links to this domain, malware can be downloaded and installed, potentially leading to unlawful surveillance and data theft. Threats do not just come from dodgy social media links, phishing campaigns or social engineering — firmware can host malware, too. The take-home from this is that any device, especially when it contains networking or Internet capabilities, can harbour threats to personal safety and data security, and while the average person is unlikely to do a full-scale code search, checking reviews and alerts for such products online is worthwhile — even if the platform is trusted. “The latest computer games can be fantastically realistic. Surprisingly, these lifelike virtual worlds might have some educational value, too—especially for fledgling AI algorithms. Adrien Gaidon, a computer scientist at Xerox Research Center Europe in Grenoble, France, remembers watching someone play the video game Assassins Creed when he realized that the game’s photo-realistic scenery might offer a useful way to teach AI algorithms about the real world. Gaidon is now testing this idea by developing highly realistic 3-D environments for training algorithms how to recognize particular real-world objects or scenarios. The idea is important because cutting-edge AI algorithms need to feed on huge quantities of data in order to learn to perform a task. Sometimes, that isn’t a problem. Facebook, for instance, has millions of labeled photographs with which to train the algorithms that automatically tag friends in uploading images (see “Facebook Creates Software that Matches Faces Almost as Well as You Do”). Likewise, Google is capturing huge amounts of data using its self-driving cars, which is then used to refine the algorithms that control those vehicles. But most companies do not have access to such enormous data sets, or the means to generate such data from scratch. To fill in those gaps, Gaidon and colleagues used a popular game development engine, called Unity, to generate virtual scenes for training deep-learning algorithms—a very large type of simulated neural network—to recognize objects and situations in real images. Unity is widely used to make 3-D video games, and many common objects are available to developers to use in their creations. A paper describing the Xerox team’s work will be presented at a computer vision conference later this year. By creating a virtual setting, and letting an algorithm see lots of variations from different angles and with different lighting, it’s possible to teach that algorithm to recognize the same object in real images or video footage. “The nice thing about virtual worlds is you can create any kind of scenario,” Gaidon says. The Xerox researchers hope to apply the technique in two situations. First, they plan to use it to find empty parking spots on the street using cameras fitted to buses. Normally doing this would involve collecting lots of video footage, and having someone manually annotate empty spaces. A huge amount of training data can be generated automatically using the virtual environment created by the Xerox team. Second, they are exploring whether it could be used to learn about medical issues using virtual hospitals and patients. The challenge of learning with less data is well known among computer scientists, and it is inspiring many researchers to explore new approaches, some of which take their inspiration from human learning (see “Can This Man Make AI More Human?”).